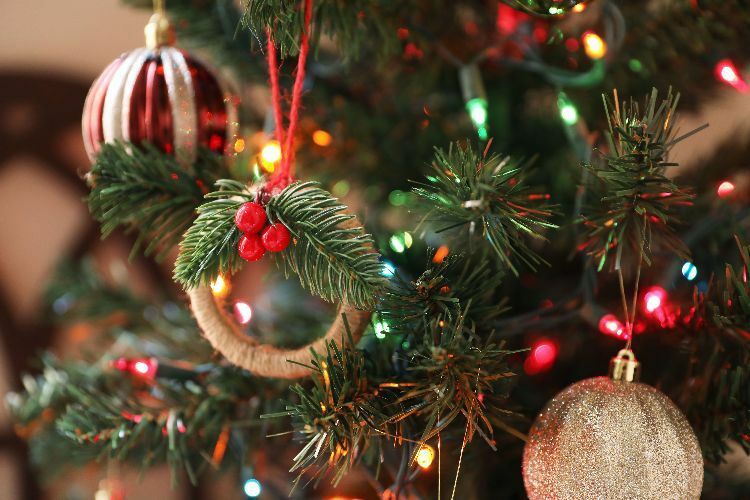 Making your home look festive during the holiday season doesn't have to drain your bank account or cause massive amounts of stress. 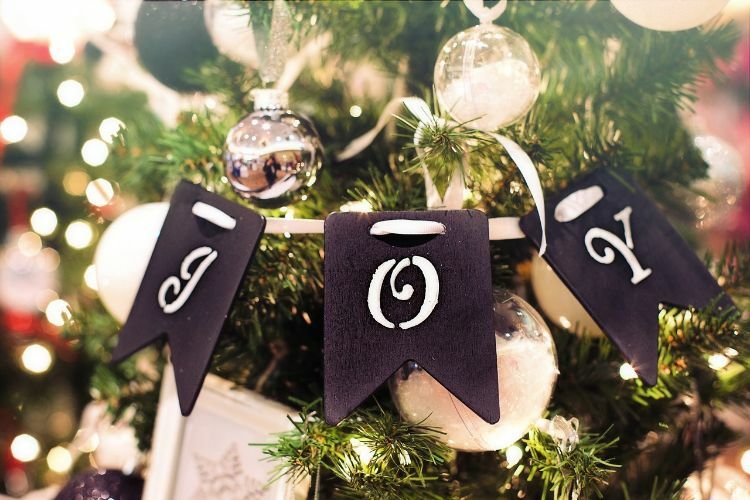 Crafting your own decorations allows you to express your originality beyond what the local big-box store's Christmas section contains, and most of these projects can double as handmade gifts. 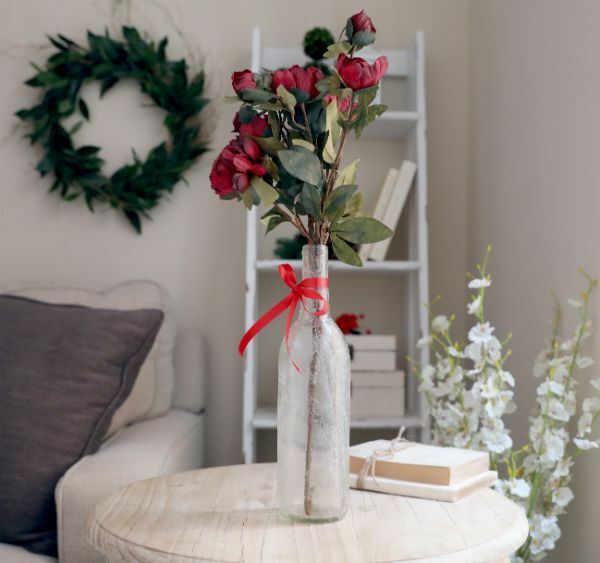 If creating something relaxes you, try any of these Christmas crafts. The results will have you humming "It's Beginning to Look a Lot Like Christmas" in no time. 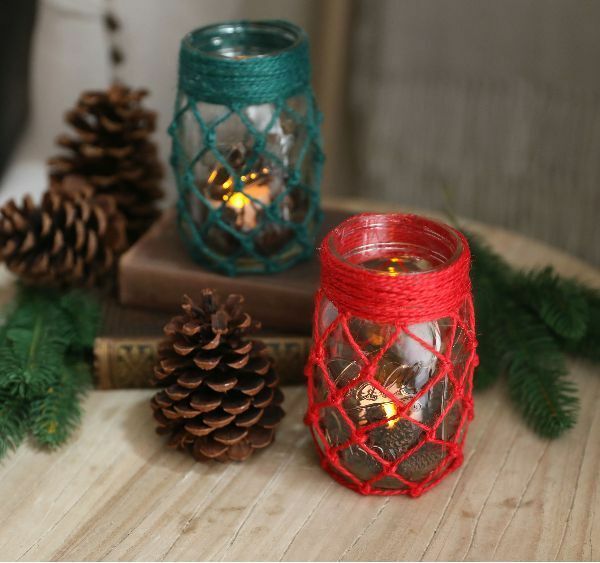 The Christmas season often brings to mind sparkling lights, and this craft brings the sparkle into your house without electricity. 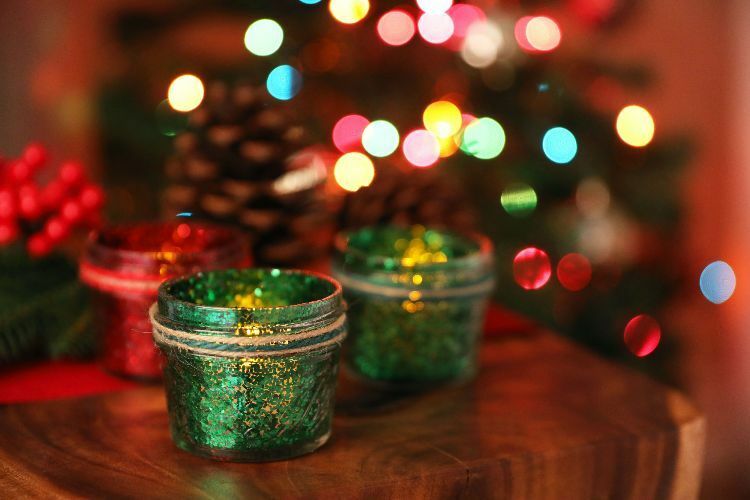 A little Mod Podge and the glitter of your choice reflect the light of a battery-operated tealight. Watch how to make this in the video below. 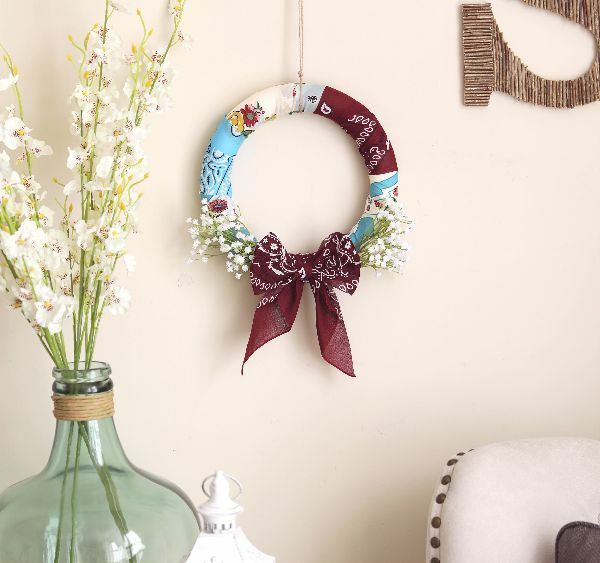 A foam wreath and some holiday fabrics are all you need to brighten your front door or enhance a wall. Fabric shops carry bolts of Christmas and winter patterns, which are easy to wrap around a wreath form. 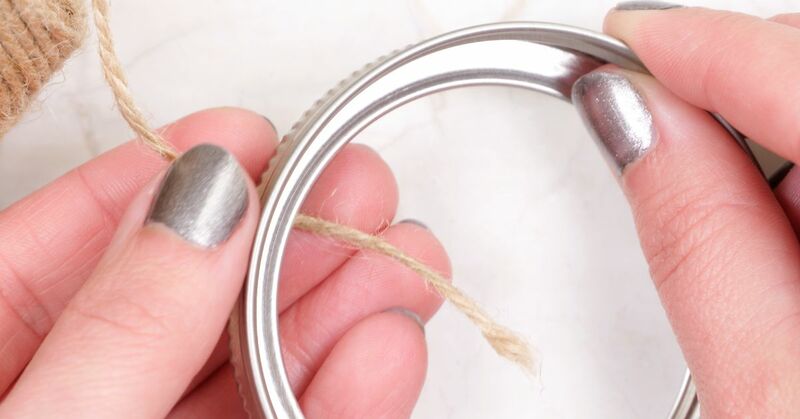 Add a red, green, or silver bow to the bottom for the finishing touch. Wicker baskets such as the one pictured below are easy to find at most dollar stores. Add real or fake pine boughs to pine cones sprayed with fake snow or dipped in white paint. 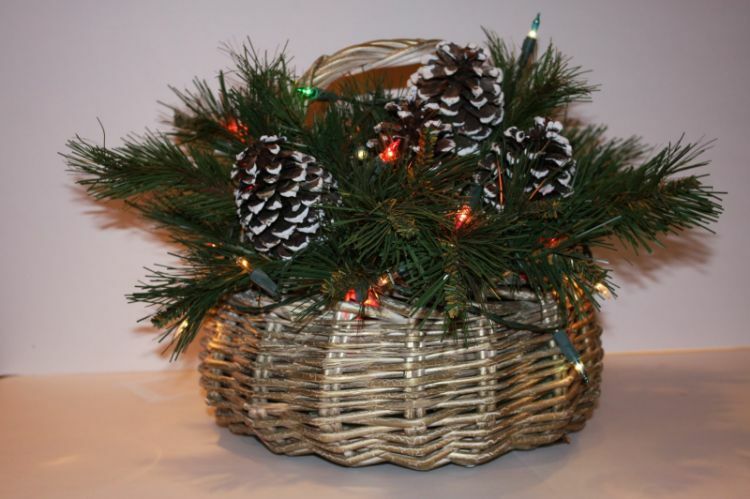 For a more wintry look with a pop of color, paint the basket white and use clear Christmas lights. Make sure you have a good amount of time before you start this project. It takes a while, but the result is worth it -- and you can proudly claim you used major crafting skills to make it. 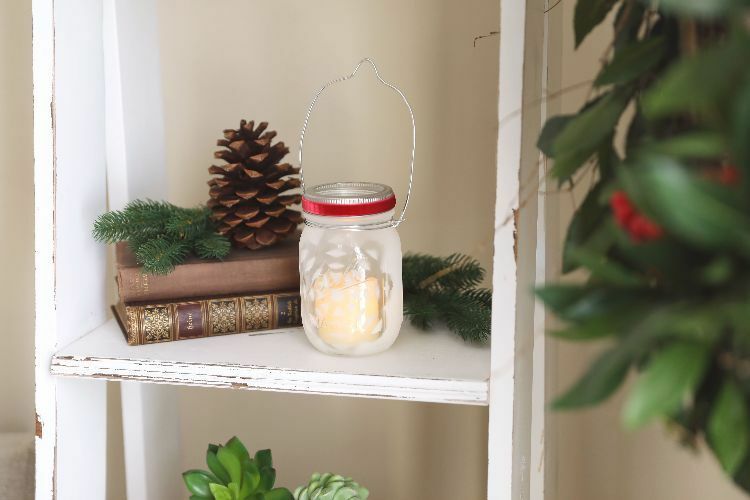 When you have completed the jar, fill it with seasonal items such as pine cones or candy canes. Watch how to make this in the video below. 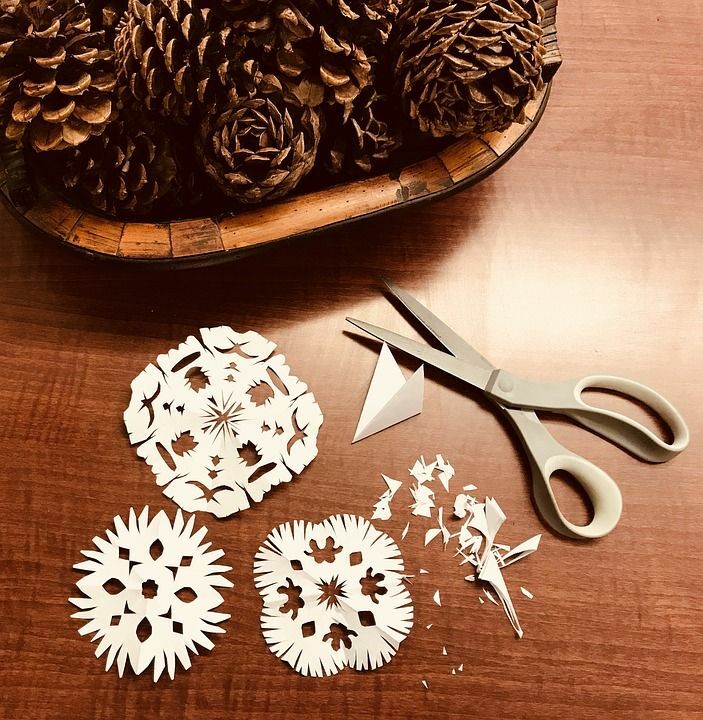 Just like the real things, no two handmade snowflakes are identical. Feel free to use traditional white, or match your colored Christmas lights by making snowflakes out of colored card stock. Scatter the finished products around the base of a Christmas tree or around another holiday display such as the frosted pine-cone basket. 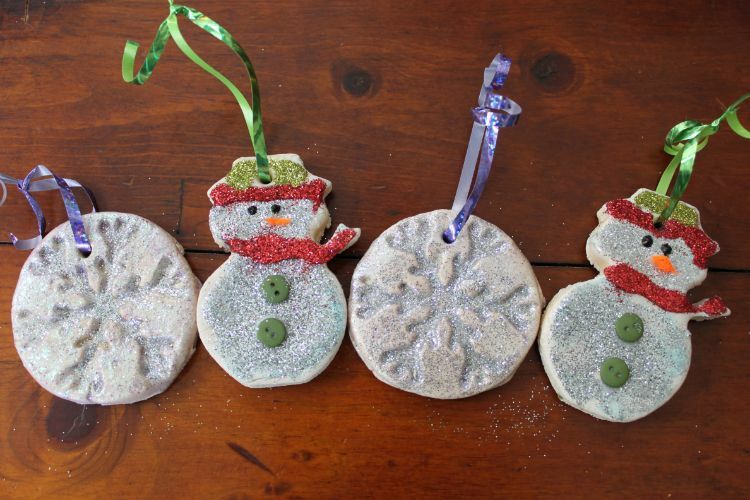 A very easy recipe is all that is needed to make these salt-dough ornaments. Add glitter and glue, or paint them once they completely cool. Make sure to punch the hole for the ribbon prior to baking. 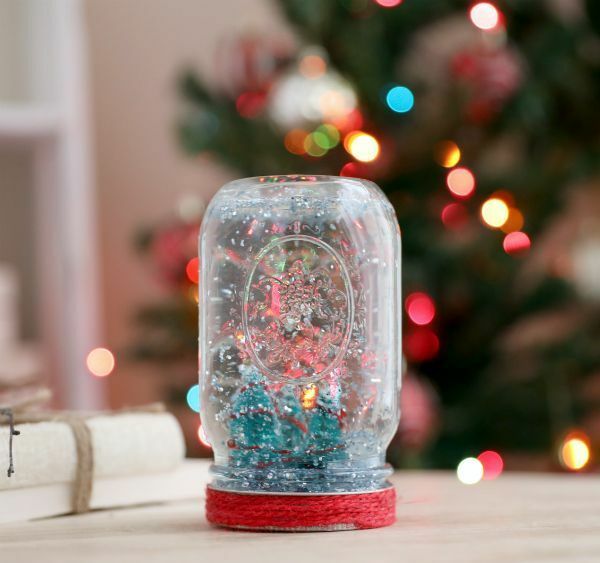 Although great for canning, mason jars also can contain miniature scenes of holiday wonder. Miniature trees and other small figures and items are glued to the inside of the lid. Silver glitter is the "snow" seen each time you tip the completed project. Watch how to make this project in the video below. 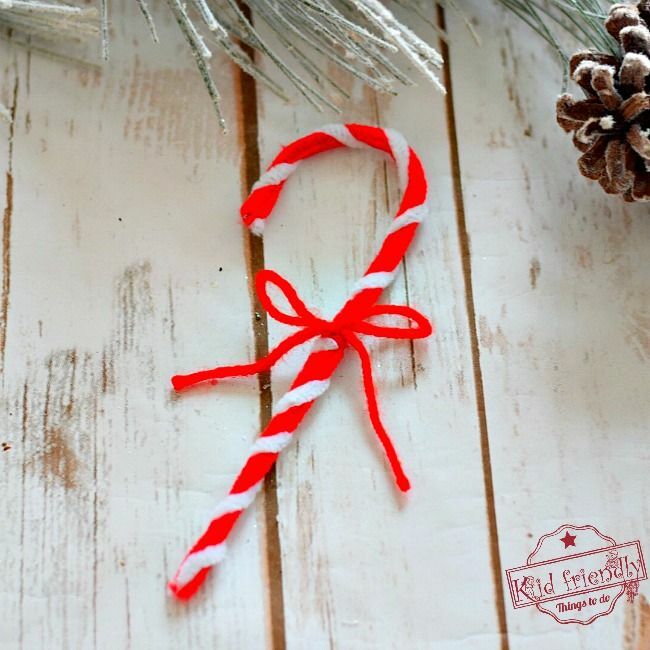 This extremely easy craft only requires red and white pipe cleaners for a traditional candy cane you might hang on a Christmas tree. Go ahead and use different colors if you prefer the more modern "flavors" on the market, or try blue and white if you have an interfaith home. Medium-gauge wire is the holder for this wreath that looks good enough to eat! How much ribbon you need depends on the size you want the wreath to be. 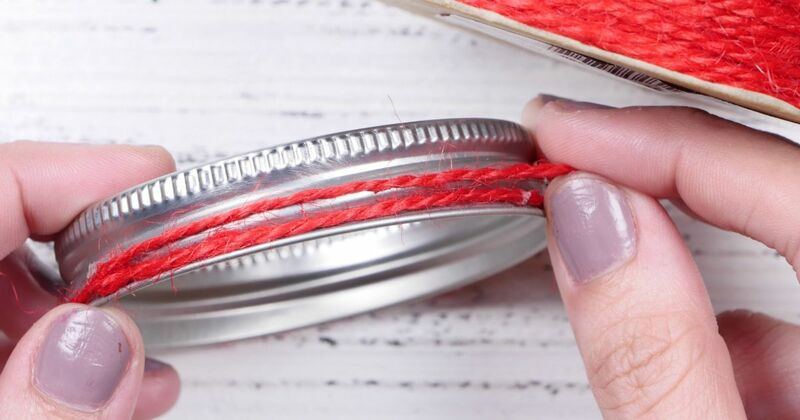 If the ribbon has a pale reverse side, bring the two ends of the entire spool and glue them together so both sides facing out are bright. Straighten the ribbon, then fold them in the pattern and poke the wire through. Epsom salt may be nice to soak in, but it is also the main ingredient in the solution used to frost glass in the craft below. 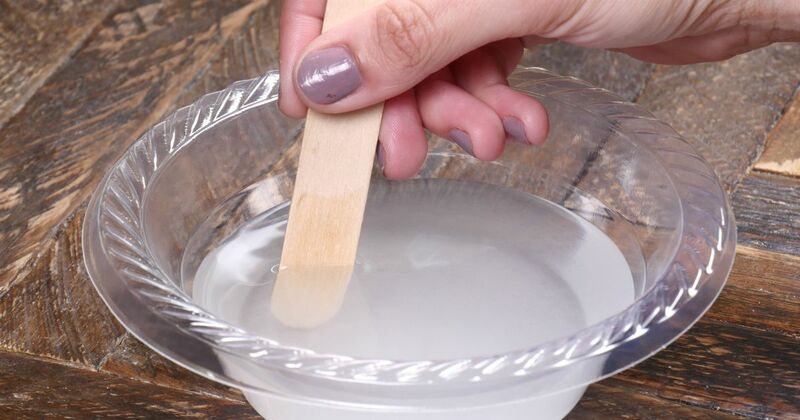 Add a little water and dish soap, stir, then apply the mixture to any clear glass object you want. Watch how to make this DIY in the video below. 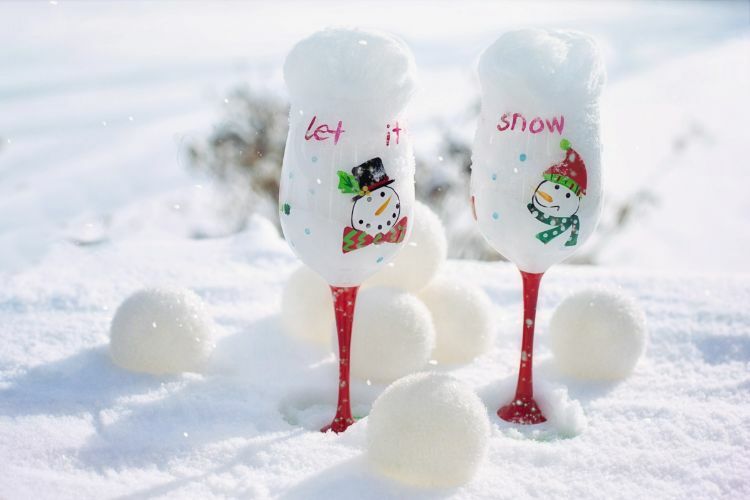 Whether you choose a two- or three-snowball snowman, glue and foam balls make this an easy project. Add whatever decorations you like to dress up Frosty. This is a great project for little ones to do. 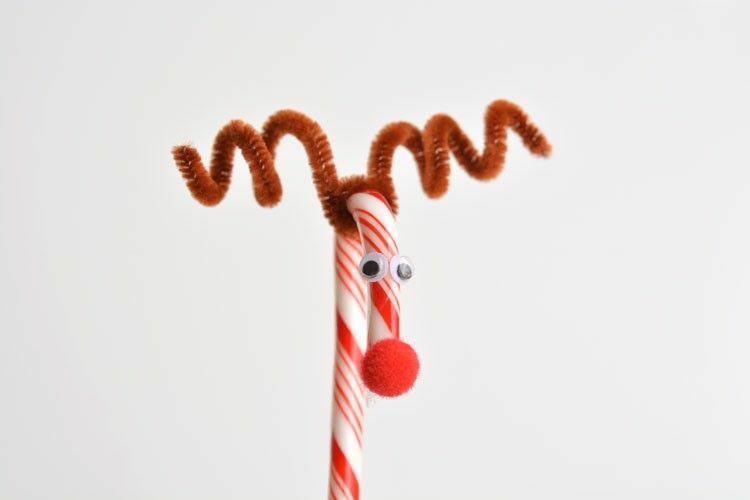 Brown pipe cleaners, red pom poms, and googly eyes are all it takes to create a herd of Rudolphs to hang on your Christmas tree or give out as gifts to fellow coworkers or your child's classmates. It's the holiday version of Lite Brite! OK, so it requires a little more artistic talent, but the concept of lighting up a design is similar. 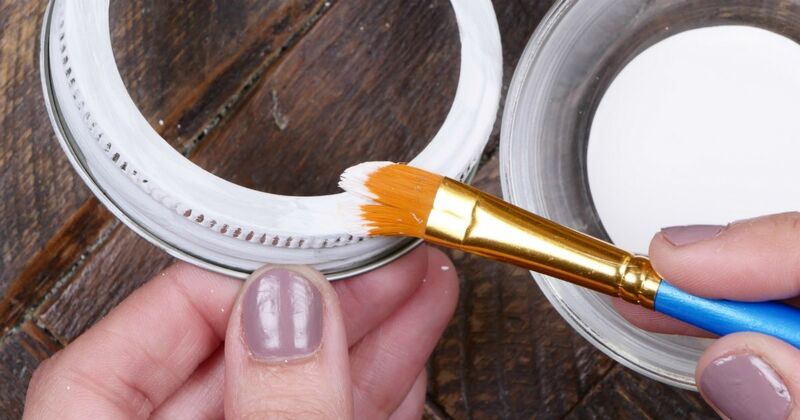 After you've painted and let your masterpiece dry, cut some holes at intervals along the areas you wish to light up. The battery-operated lights are taped to the back of the canvas to create a tidy picture. Again, dollar stores are your friends for this project. Pick up a couple (or more) of inexpensive wine goblets, and gently wash and dry them. Natural oil in human hands can cause fingerprints and smudges, so wear disposable gloves when washing them. 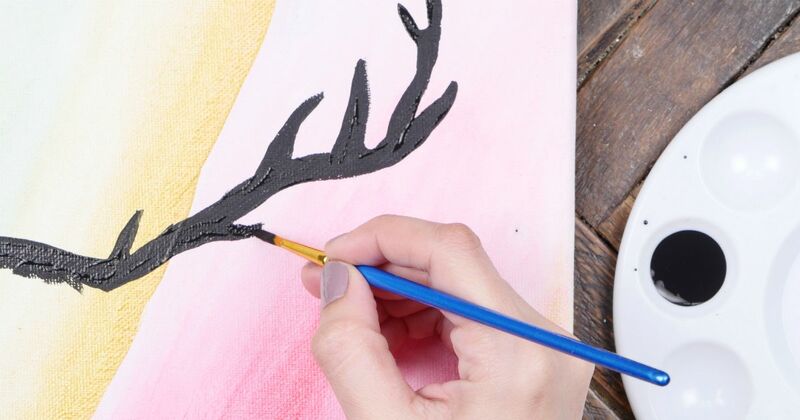 Use acrylic enamel paints, and let the paint dry and set for several days. Pipe cleaners and pom poms to the rescue again! Painted spring clothespins are painted white, and may be decorated any way you choose. 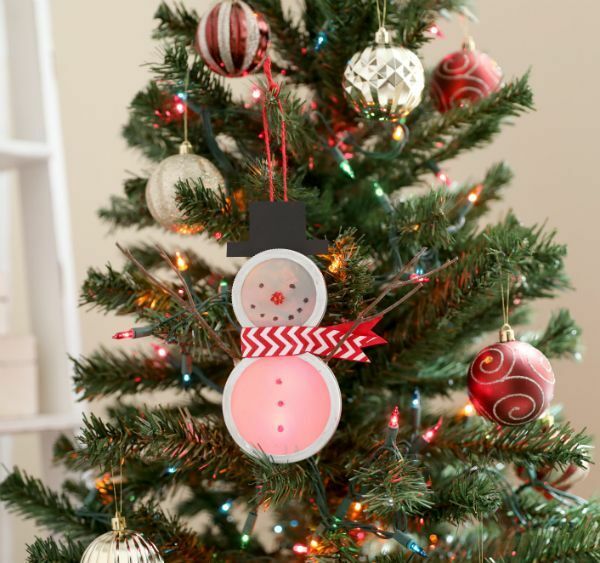 A permanent marker makes giving this snowman eyes and buttons a breeze. String them together and you have a nice way to hold pictures or greeting cards. 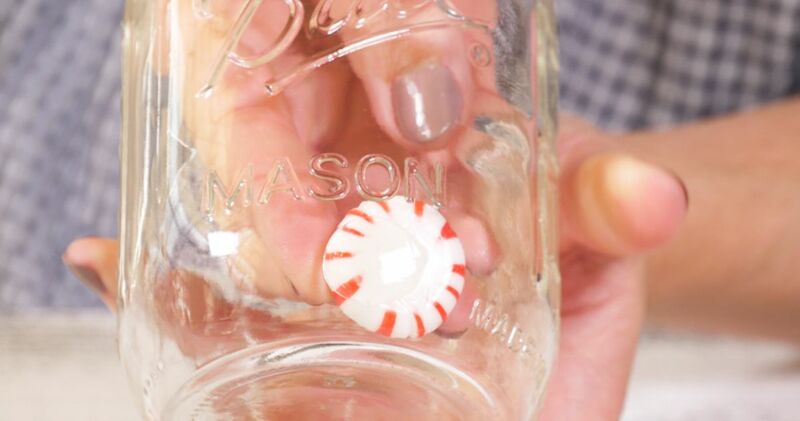 You might want to pick up an extra bag of peppermint candy in case you can't resist the scent of this project. 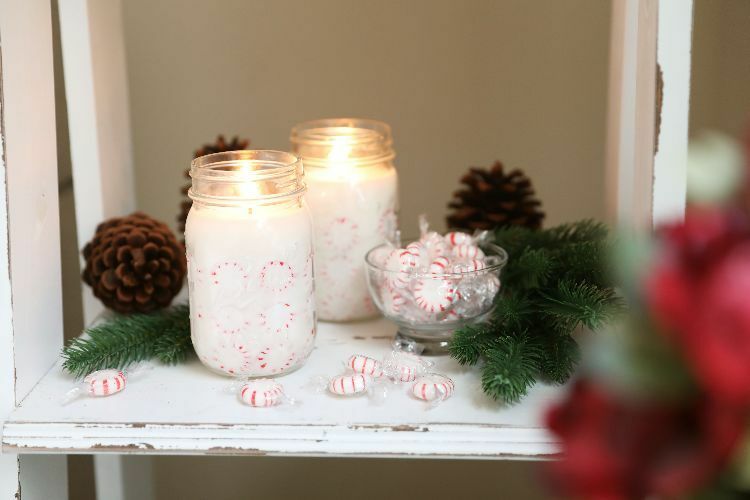 Unwrapped candies create the design for this peppermint-scented candle using soy wax. Just be careful not to get your hand stuck in the jar as you place the candies around the inside. Watch the tutorial below to make this at home. Make this message garland as short or as long as you like. On pieces of cut-out felt, stencil the individual letters of any word, such as "peace," "Xmas" or "family." Cut two holes in the top of each letter tag through which to weave ribbon. The felt, paint, and ribbon color may be whatever fits your decor or mood. A solid-colored ornament is the base for whatever you want to paint. From snowy village scenes and snowmen to Christmas trees and Santa Claus, create what works for you. 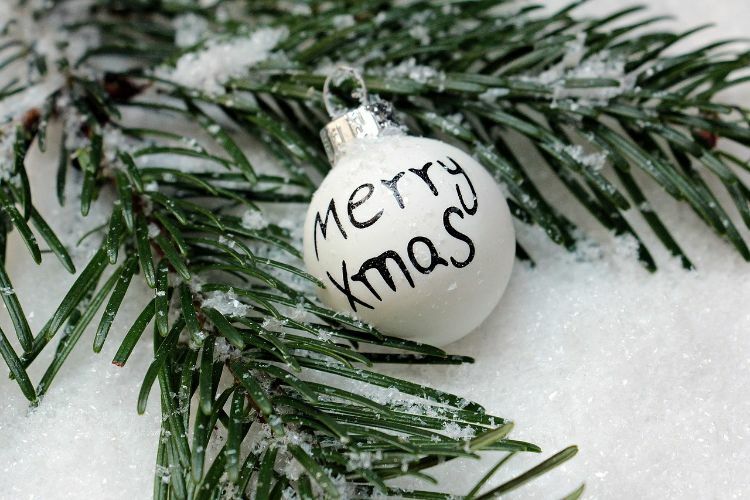 If your talent doesn't lie in drawing, just paint a simple, heartfelt message on the ornament with a thin brush. 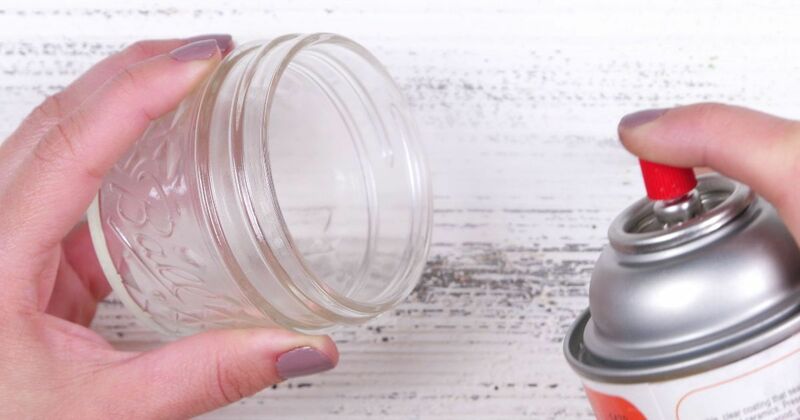 This craft is eco-friendly as it uses the lids left over from other mason jar projects utilizing only the glass jars. 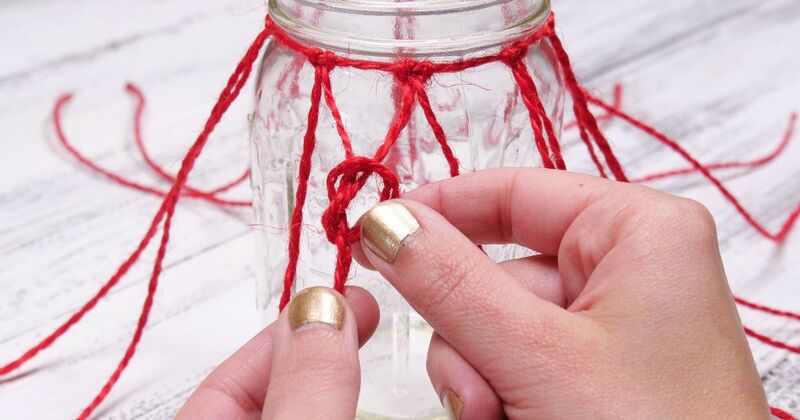 Wrap inexpensive twine around the lid, and decorate with fake pine and holly berries. Watch the video below to make this at home. 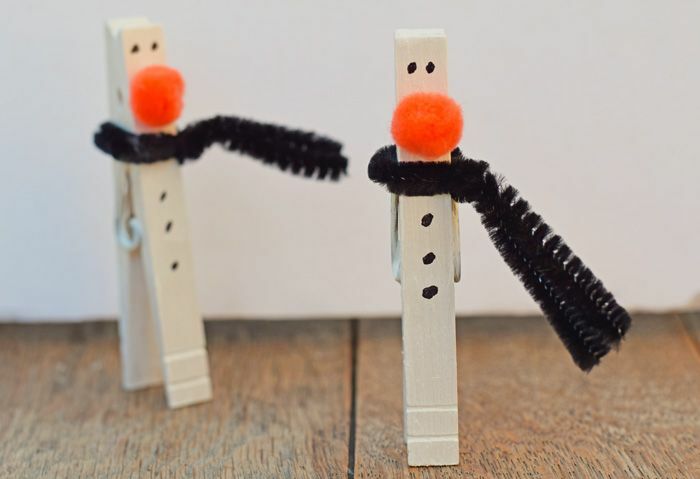 Create an army of snowmen to invade your home. 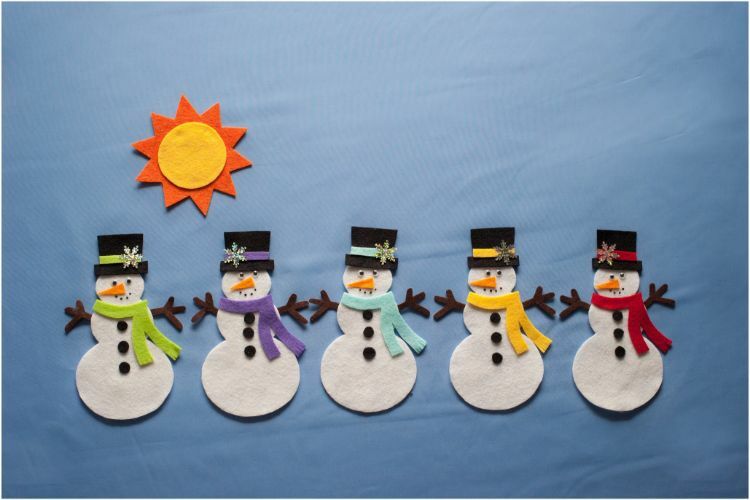 Using different colors of felt, use felt glue to apply any decorations to your snow people. String them together to make a tree garland or to hang along a side mantel. Not only is this craft easy as pie, it also smells like one. Gather three or more cinnamon sticks. 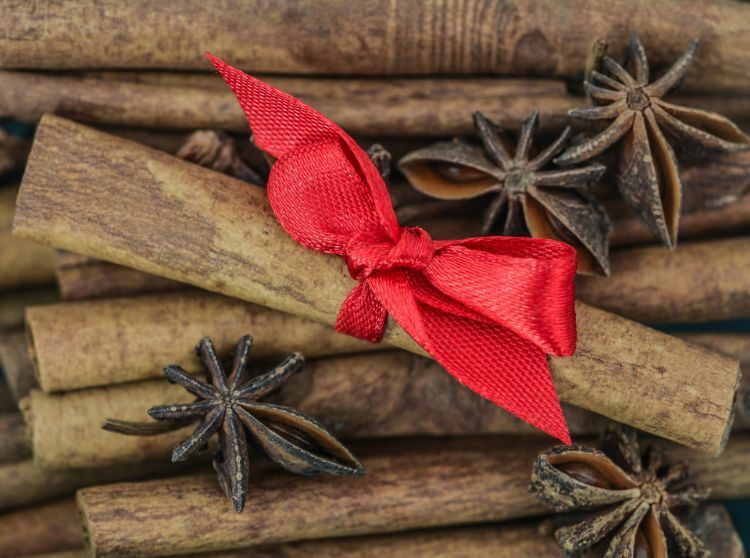 If you plan to use the sticks later in baking or cider mulling, just tie a festive ribbon around the bundle; otherwise, hot glue the sticks together. Place them around the house for scented decoration. 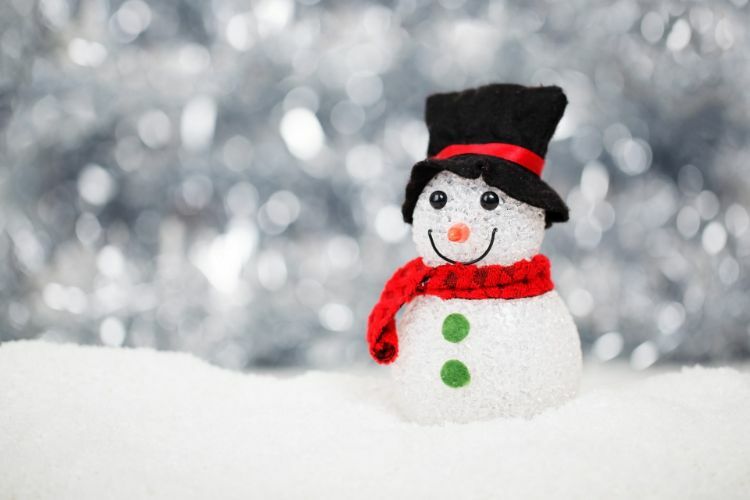 Two painted mason jar lids of differing sizes are glued together to create the body of a snowman. Parchment or tracing paper glued to the inside of the lids are the canvas for faces and buttons. A yarn loop glued to the hat allows you to hang it from the Christmas tree. 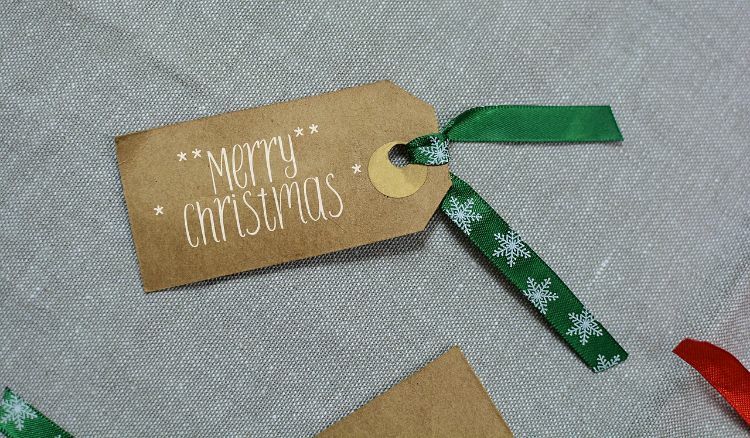 Add a personal touch to to gifts by creating your own tags. Use card stock, cardboard, or even paper bags. Stencil, stamp, or write whatever message you like. Punch a hole through the top, add a snazzy ribbon, and voila! 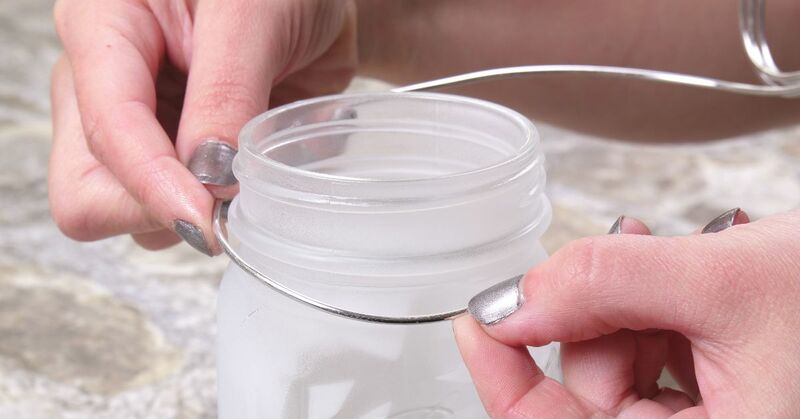 Your paper snowflake-making skills will come in handy for this craft, as the snowflake acts as the outline of the jar's design; any leftover medium-gauge wire from the ribbon-candy wreath project can be used for the handle. Each lantern holds one battery-operated votive and looks fantastic on a bookshelf or mantel. Follow along the video below.